With Apple's lost device system, there was nowhere to hide in Tacoma. My wife, Lynn, texted me from the social dance she helps run every week here in Seattle. A mutual friend’s bag had gone missing containing her wallets, keys, and phone. It seemed to be stolen, but the facts were odd: the place where it’s held doesn’t have random passers-through, and it hadn’t happened before. Everyone leaves their possessions in the same place. Even stranger, a backpack had been left with no identifying information that no one recognized. I texted back some suggestions, and then Lynn called me to update me. I had an idea: was it an iPhone? It was. And our friend remembered her iCloud password. Using Lynn’s phone, she punched her account information into Find My iPhone, and the phone was quickly located in Tacoma, which is about 40 minutes’ drive from Seattle. 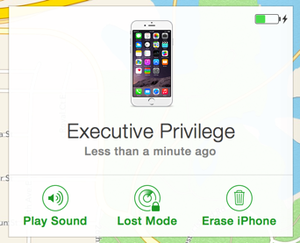 Find My iPhone allows remote mapping as well as tracking, locking, and erasure. If it had been a thief, I thought, they would have done what most sensible, modern criminals do: either power down the phone immediately or put it in a metal box or wrap it in aluminum foil. (Or aluminium.) Based on police statistics, burglars and muggers may toss smartphones more often than keep them because so many models now can’t be easily wiped and resold between Apple’s Activation Lock and similar “kill-switch” features in other OSes, like Device Protection in Android 5.1. And they phone home. Another dancer remembered that one of the regulars hailed from Tacoma, but no one had her phone number, and by midnight, we couldn’t confirm whether her keys were in the hands of someone malicious or just mislaid. Calling the number yielded no response. Our friend stayed the night in our guest room, and the next morning we fired up Find My iPhone again. The phone only had a 17-percent charge remaining, but we had the address narrowed down to an almost exact match against a house. My wife and I started working through property registation records, offered by Zillow and Redfin, but also the local county, in case we needed to call the police. Our friend called around and found someone who knew the potential taker—and her address. It was a match, and he had that person’s phone number. It was all a misunderstanding. The person with the bag had been intended to take a different one left behind for another friend, and was mistaken. She left it in her car overnight, which is why she hadn’t heard it ringing. I had thought about suggesting our friend have the phone play a tone, but it wouldn’t have been heard and would have run down the battery further. The mistake would have been discovered a couple of days later, when the person who inadvertently had the bag went to deliver it to her friend and he said, “That’s not my bag.” By then our buddy would have have had to get a new car key made, had her house locks rekeyed, replaced her credit cards and checking account, and gotten a new phone. Find My iPhone (also known as Find My Mac) has improved over time, with its biggest bump coming when Apple added hardware-based encryption to iOS devices and FileVault 2 encryption to Macs. Both of these options allowed not just remote locking, but super-fast erasure if a device couldn’t be recovered. Instead of many minutes or hours to erase an iPhone or iPad’s flash memory, it’s more like a mic drop: the encryption key is quickly destroyed, and that renders the data stored no more than garbage. FileVault 2 pairs with the Recovery boot introduced in Lion: when you engage Lock Mode for a Mac, which requires you create a lock code, it will immediately and without warning boot into Recovery. After rebooting, the startup drive’s encryption protects it even if the drive is removed and examined forensically; only the account name and password can retrieve the encryption key. 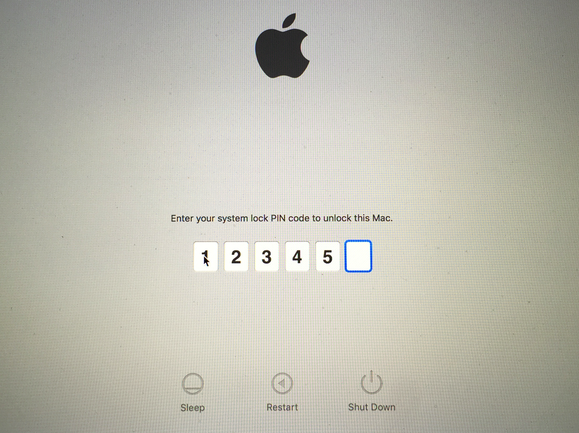 To unlock the Mac, you have to enter the six-digit passcode set in Find My Mac. (Without FileVault 2 enabled, OS X puts up a lock screen.) The same frightening ease allows the erasure of the drive’s contents. FileVault 2 plus Find My Mac locks down a Mac remotely and securely, requiring a passcode to regain access. Because Find My iPhone/Mac is clever, it can’t be blocked unless the mobile or computer is never put on a network again. Should your Mac, iPhone, or iPad get the briefest contact with the Internet—even booted in Recovery mode in OS X—any Find My Whatever command is sent to play a sound, send a message, enable lost mode (later iOS devices), or lock it down (OS X and earlier iOS hardware). More usefully, this lost-and-stolen-hardware software and system, which can be accessed via an app or the iCloud website, will provide a pinpoint on a map whenever possible. With Lost Mode engaged for iOS, it will provide a track of wherever a device has been. This is useful to get the interest of law enforcement or, as in our case, find a phone that’s gone astray without any intent. The new two-factor authentication system for iOS 9 and El Capitan, which is slowly rolling out, incorporates a map, too. Whenever you request access from a new device, you’ll be prompted on all other equipment logged into the same Apple ID to allow it. (You only have to agree to allow from a single device, not all of them.) But when possible, it shows a map, which is useful as an alert in case someone is making use of your equipment when they shouldn’t. If you don’t have Find My iPhone or Find My Mac enabled, turn it now: Settings > iCloud in iOS and in the iCloud system preferences pane in OS X. In iOS, it also enables Activation Lock, and requires your iCloud password to disable it, a step you need to take before wiping a phone to sell or return to Apple, a cellular carrier, or a used hardware firm for trade-in. It’s such a little thing, but your phone doesn’t have to be stolen for it to be useful. For our friend, it saved days of heartache and hundreds of dollars of expense.